With food costs continuing to rise and financial pressures not letting up, keeping your own chickens as a backyard food source is a worthwhile endeavor. 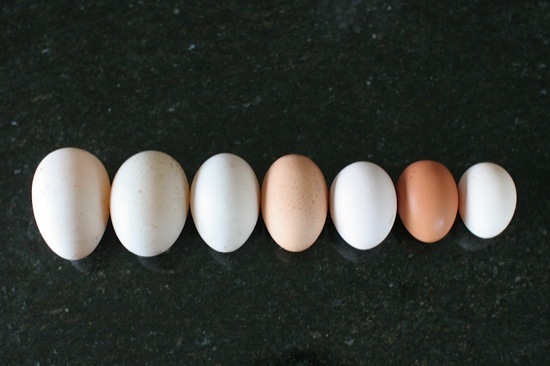 Eggs are the most obvious food your chickens will provide. If you allow your chickens to free-range in your yard during the day, the varied natural diet will result in beautiful golden egg yolks that rival even the most expensive commercial organic eggs. Store-bought eggs simply can’t match the freshness of your own eggs – no more watery egg whites and flat, lifeless yolks for you! The next most direct source of food from chickens is meat. You can hatch and raise your own chicks, growing them on to roaster or broiler size and butchering them yourself. While you don’t always have the space or ability to raise meat chickens in urban and suburban neighborhoods, it is very rewarding if you have the opportunity. Again, there’s no comparison between the taste of a store-bought standard chicken and the home-raised variety. Less directly, your chicken manure and bedding can be composted and used to increase the fertility of your vegetable gardens. You’ll save money on soil amendments, and ensure a bumper crop come harvest time. After the harvest, the chickens can be turned into the vegetable patch to eat any remaining pests and weed seeds, scratch up the soil, and get everything ready for your next crop. Finally, backyard eggs are a highly-prized commodity for barter. If your chickens are laying more than your family can eat, you can swap eggs with friends and neighbors for whatever produce they grow. Everybody comes out ahead!